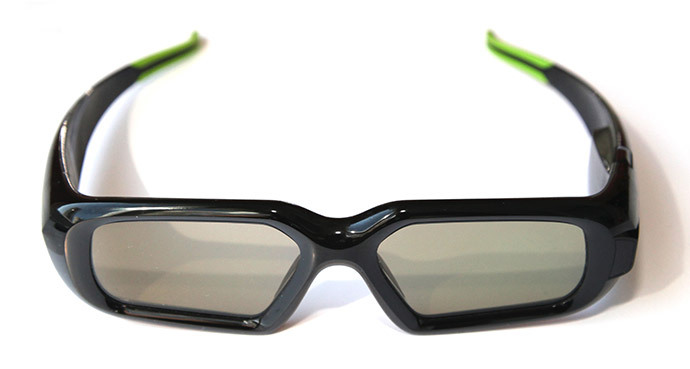 The wireless shutter glasses are just one part of the Geforce 3D Vision, the other major part is a small USB powered “black box” or with other and IR sender box that is used to synchronize the flicker of the glasses with the image available on the screen. 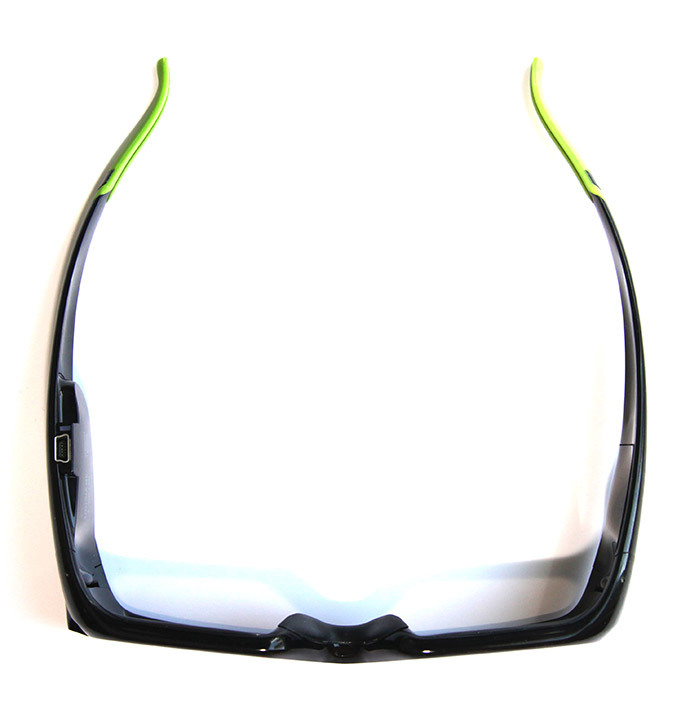 What nVidia did very well is designing their shutter glasses without any annoying cables and to actually look cool, especially compared for instance to eDimensional’s solution and other LC-shutter glasses previously made available during the era of the CRT displays. Looking at the glasses from above you can notice that there is a button and a small LED light indicating the status of the glasses (the right part of the glasses on the picture above). You just need to press the button when you want to use the glasses so that they can be turned on, there is no need to turn them off and you cannot do that by pressing the button again. 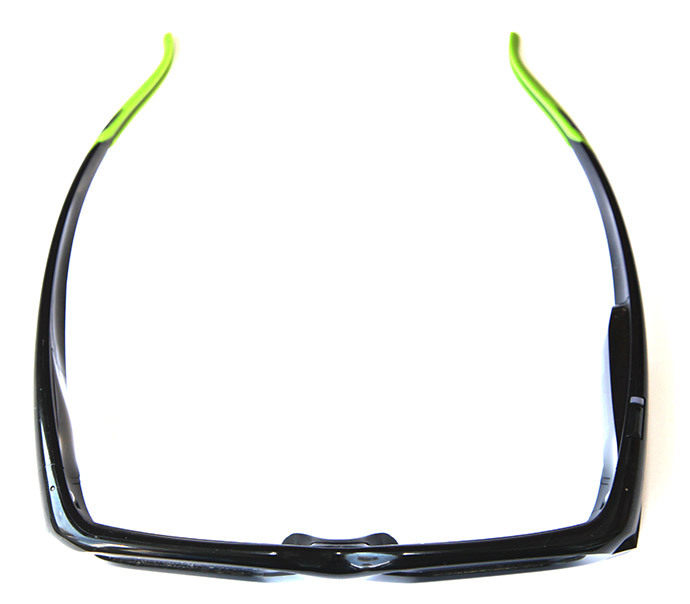 If the glasses loose the synchronization signal from the transmitter for some time they should turn off automatically to preserve the battery that is being used to power them.